CAM Raleigh and Arts Access present "A Little Potato and Hard to Peel," a universal story written and performed by David Harrell. 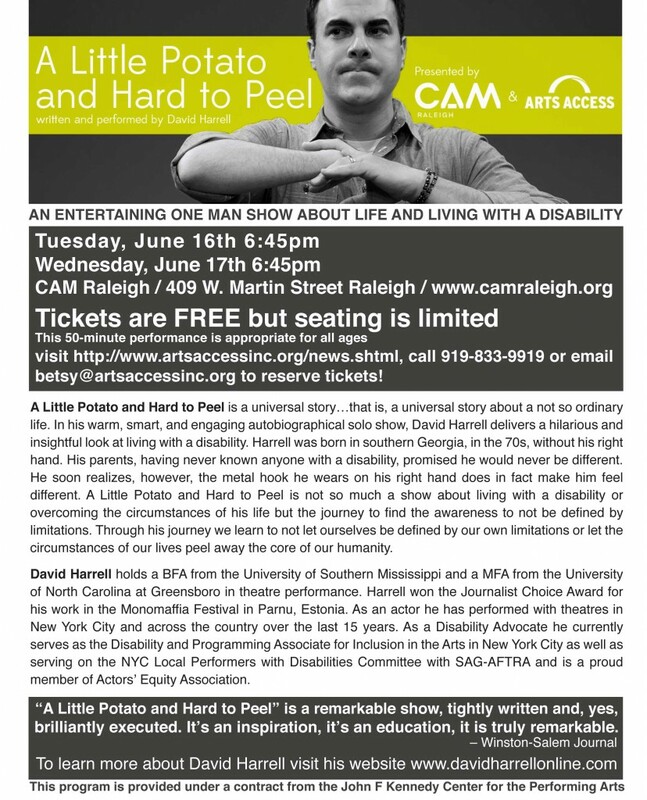 Please call 919-833-9919 or email betsy@artsaccessinc.org to reserve seats. This 50-minute performance is appropriate for all ages. Audio Description will be provided. David Harrell holds a BFA from the University of Southern Mississippi and a MFA from the University of North Carolina at Greensboro in theatre performance. Harrell won the Journalist Choice Award for his work in the Monomaffia Festival in Parnu, Estonia. To learn more about the story please visit here.